Whether you’re an Hermès lover or looking to buy your first Hermès bag, you will have certainly heard of Hermès Date Stamps. We often get a lot of questions, and we’ve provided the some answers below. 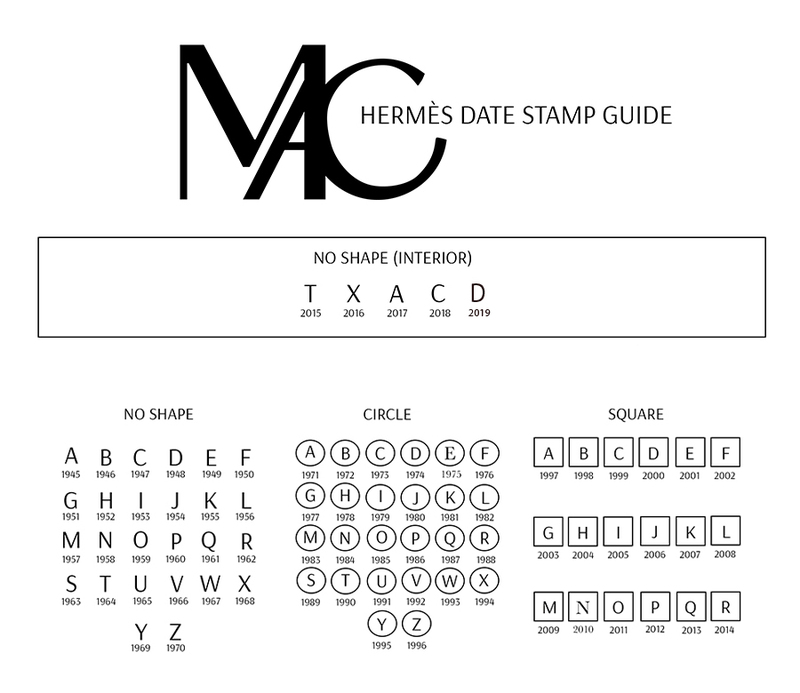 What are Hermès Date Stamps? 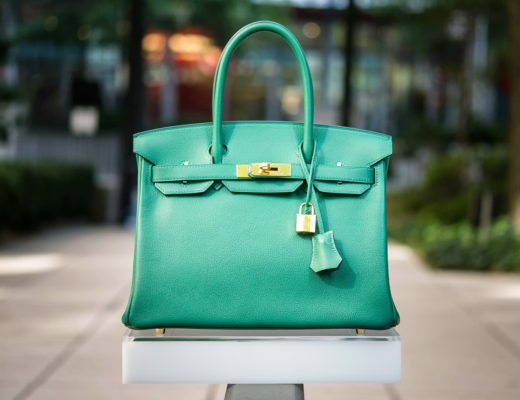 Authentic Hermès handbags have a date stamp embedded into the leather that signify the year a handbag was manufactured. These are also called Blind Stamps or H Stamps. Why are Hermès Date Stamps important? Hermès Date Stamps are important to all Hermès buyers because they can be used to authenticate Hermès bags. Many first-time buyers will look at Date Stamps as a sign of authenticity, but Date Stamps can be faked. 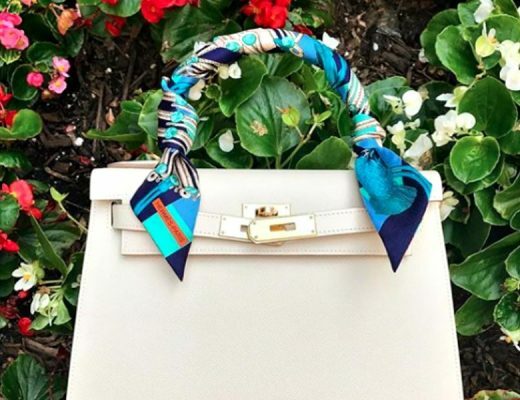 Which is why we cannot stress enough the importance of purchasing your Hermès bag from a trusted and knowledgeable seller, like Madison Avenue Couture. It’s also important to keep receipts noting your Date Stamp(s) on file, as this is the best way to identify your handbag should it ever get stolen. Hermès Date Stamps also come in handy when you have to identify or validate a color. Certain Hermès color look slightly similar. However, Hermès rests certain colors after a while. Take for example the Candy Series, which were limited edition handbags from 2011-2012. One of the colors included in the collection was Celeste, which is similar to Aztec. The existence of an O Square or P Square Date Stamp will allow us to corroborate that the color is indeed Celeste, and not another similar blue. What do Hermès Date Stamps look like? Unlike Chanel, who uses alphanumerical codes, Hermès has been using single letters in alphabetical order since 1945. In 1971 they started surrounding a shape with either a circle or a square. Additionally, Hermès Date Stamps will be accompanied by one more stamp: that of the expert artisan who handcrafted the bag. There are other additional stamps used to mark various leathers, like crocodile, alligator, ostrich and lizard, Special Orders bags, employee sales, etc. Where are Hermès Blind Stamps located? Depends on the handbag style and the year. As of 2016, Birkin and Kelly bags Blind Stamps are located on inside the bag, on the left side close to the back flap. Prior to that, they were found in the back of the closure straps. What are the currently known Date Stamps?